So a precise description of what this new venture is going to eventually become is gleefully elusive. But I can tell you this—it will feature not only my own best writing but the work of contributors who share my belief in deeply reported, colorfully rendered stories in and around the tech explosion. We will also draw on some of the amazing contributions that are already flowing into Medium—not only professional writers but also smart people chiming in spontaneously—and bring in outside voices of authority who will express their concerns, share their thoughts, and generally provoke our readers. Levy served as a senior writer for Wired. 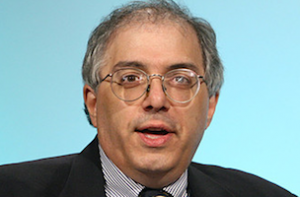 Prior to that, he served as a chief technology writer and a senior editor for Newsweek. He has also written several books on technology. Levy’s work has appeared in publications such as Harper’s, The New Yorker, Rolling Stone and The New York Times Magazine.